by Sommer Collier | I’m not a cheapskate by any stretch, but I hate to waste money on things I can easily make myself. Especially when my version is quick and just as good, if not better. It’s a superfood for a reason – sweet potatoes are choc full of potassium, protein, and fiber. Bake them for a light, crispy treat. Lately I’ve been buying bags of gourmet vegetable chips to serve with dips at cocktail parties and neighborhood gatherings. After all, they’re colorful, uniquely flavored, and seem to be appreciated by friends with certain food allergies. After looking back at my grocery receipts over the last few weeks, it occurred to me that I’ve spent a ridiculous amount of money on fancy chips this month. Yikes! I’m not a cheapskate by any stretch, but I hate to waste money on things I can easily make myself. Especially when my version is quick and just as good, if not better. So today, I’m sharing my Baked Sweet Potato Chips Recipe. It’s super simple to make, requires only 3 ingredients, and tastes better than store bought chips, because they’re fresh! Plus, making sweet potato chips at home allows you full control of chip thickness, fat content, and seasoning. This simple 3-ingredient recipe makes a fabulous healthy snack and side dish. Slice sweet potatoes very thin on a mandolin slicer. You can use a standard chef’s knife to cut the sweet potatoes, but it’s much faster on a mandolin. You can also choose to slice your sweet potatoes thicker for sturdier chips, but they will take a little longer to bake. I like mine super thin and crispy. Place the sweet potato slices in a large bowl and drizzle olive oil over the top. Toss the slices with your hands to make sure every single slice is kissed with olive oil on both sides. Lay the sweet potato slices on baking sheets in a single layer. Lightly sprinkle the unbaked chips with Diamond Crystal® Kosher Salt. 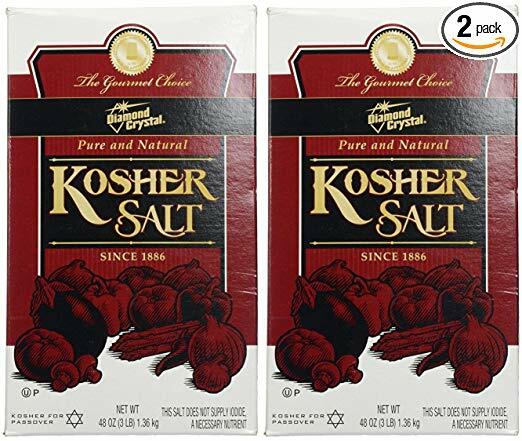 The kosher salt flakes are large and flat, so they hold tight to the oiled chips and offer great salty flavor that brings out each chip’s natural sweetness. Once they are baked, the sweet potato chips are light and crispy with an intense salty-sweet flavor. You can store them in an air-tight container for lunchbox snacks all week, pack them in spring picnic baskets, or serve them at parties.